I previously wrote a story about the dispute developing between some of the surviving children of Martin Luther King Jr. The dispute appears to be between sons Martin Luther King III and Dexter King and his daughter Bernice King. Part of the dispute is over the ownership of King Jr.’s traveling bible and his 1964 Nobel Prize medal. The traveling bible was used to swear in President Barack Obama for his second tern in office. Bernice King’s position is that she inherited the bible and the medal from her mother, Coretta Scott King and they should not be sold, while Martin Luther King III and Dexter King appear to be interested in selling the items. These items are believed to be worth several million dollars total if sold to private buyers. The trial for this matter was initially set for a date in February of 2015, but the matter was stayed by a Judge in January at the request of the parties in order to attempt to resolve the dispute. The deadline to resolve was subsequently extended to May 27, 2015, however the matter has not settled yet. Former United States president Jimmy Carter is going to be involved in mediating the Martin Luther King Jr. estate dispute. 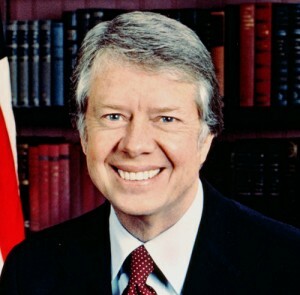 News recently broke that former United States president Jimmy Carter was going to become involved with the siblings in an attempt to mediate the dispute. Although Jimmy Carter was involved in many complicated negotiations on the world stage, it is unclear how his involvement in this case will be more beneficial than utilizing an experienced estate mediator. The parties have already had ample time to settle the matter. Estate mediation should be used as tool to accomplish a quick resolution and to keep the terms of settlement confidential. Parties to an estate dispute should attempt to reach a resolution in order to keep litigation costs down. As an example, I recently wrote several entries about the Robin Williams estate dispute, the most recent of which is found here. It involved a vast estate worth many millions of dollars. The matter settled out of Court approximately a year after it commenced and the terms of the settlement were kept confidential. The parties involved recognized the importance of resolving the dispute and reached a resolution relatively quickly. They were respectful to Robin Williams’ legacy and kept media attention to a minimum. Whether intentional or not, it appears that the addition of Jimmy Carter into the King Jr. estate dispute will create more news stories as this matter drags on. This is a high-profile case already, and rather than dealing with the matter quietly and privately, the parties do not seem to mind attracting more attention. This adds another layer of complexity to a situation that is already receiving significant coverage in the media. It will be interesting to see what happens next. For more news on the Martin Luther King Jr. estate dispute click here.